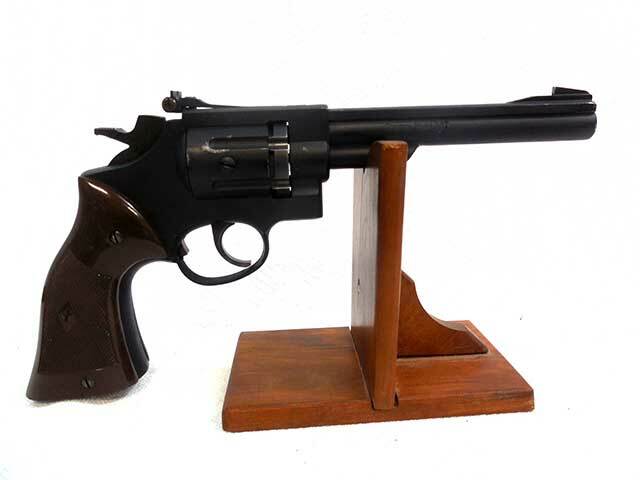 The Crosman 38T is similar to the model 38C, which is a full size cast alloy metal replica of the .38 caliber Smith & Wesson revolver. The bigest difference is the 38T has a 6 inch barrel. 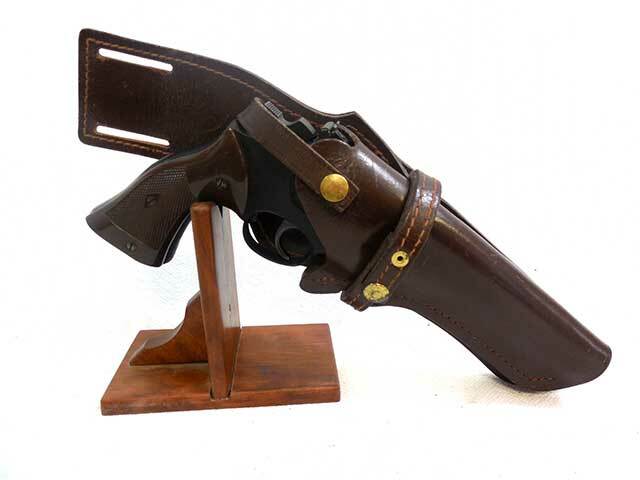 This is a CO2 powered, 6 shot, .22 caliber double action revolver pellet pistol. 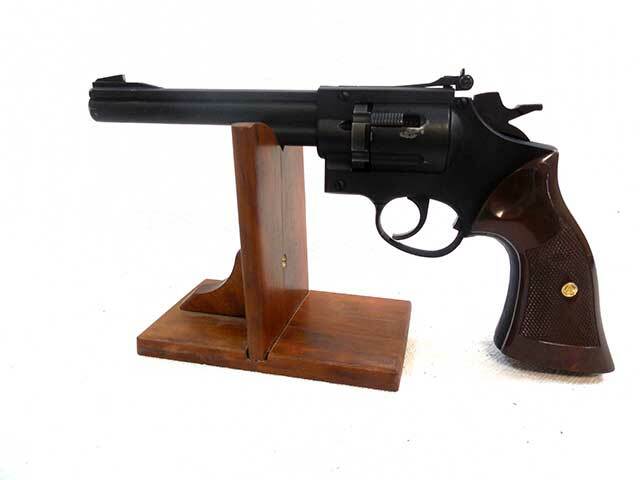 This one is a first variant with metal rear sights, and revolver cylinder; manufactured between 1973 and 1976. The metal retains about 95% of the original finish, and the plastic grip is in excellent condition. The velocity was tested in our shop at 351 fps using lead pellets. This is a really nice looking pistol, and fun to shoot!